Over the years wakeboarding behind the boat has progressed in mind-blowing ways. The fact that multiple variations of double flips are stock tricks for today’s pros is evidence of that. But with crazy progression can come intimidation (how many of us out there are ever really going to even think about trying a double flip while getting towed by our boat?). Sometimes in the rush of progression we lose sight of the simple things that keep wakeboarding fun. This article is meant to take you back to some basics, whether you’re capable of landing double flips or not. 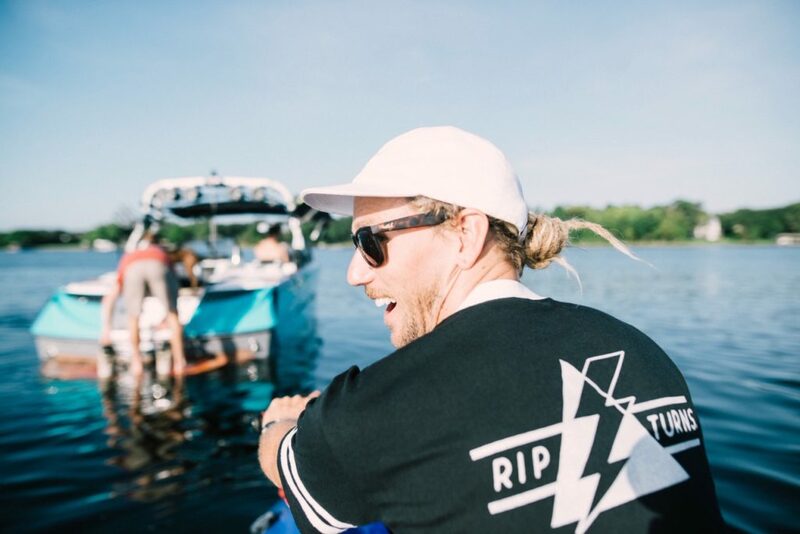 Take a look and see what we’ve come up with, we’re sure these are things you can do next time you’re out on the water that will help keep wakeboarding fresh and fun for you, without being so intimidating. Here are ten ways to keep your wakeboarding simple – while still keeping it really fun. 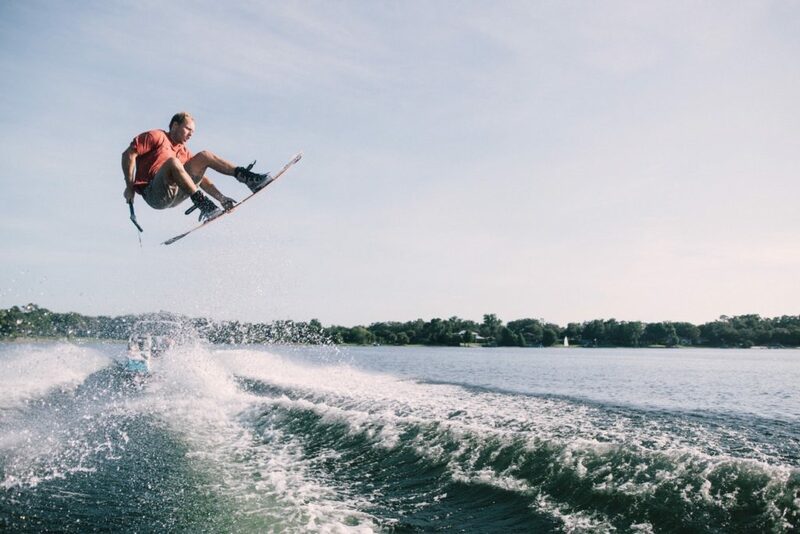 Powerslides are one of the most exhilarating ways to look and feel cool on the lake. And the bigger the spray the better. Not much beats cutting out onto a glassy stretch of water and laying an edge – it’s a timeless move that’s often overlooked. Add in some lilypads to make an even bigger impression. Fun fact: this maneuver ranked higher than most on the “gram-able” scale. Don’t feel like working on that backside 900? We’ve got a ton of other options to suggest. There’s a whole new list of acceptable / trendy grabs for 2019 including the crail and seatbelt grab…can you recall which is which?? Haha. Then there’s the classics like the method or Alex Graydon’s new “reverse method” back 180. They’re all different, and can be really fun. When you get one mastered, add it to other tricks you already know. Like the powerslide, this often overlooked surface maneuver can be a ton of fun (and it’s one of the easiest to do). Lean back on your tail and kick some water up for a free shower and bragging rights. With boards like our Nomad or Solo it’s a total blast, and makes you look a hell of a lot cooler than you might really be (our little secret). If you really want to sink into one, drag your back hand behind you through the water for the layback effect. For the total pro, there’s the powerslide to reverse nose wheelie…might want to ditch the fins for this one! Wrapped tricks can bring a whole new element of fun to your riding, and you don’t have to do crazy, technical tricks to use one. Eliminating the need to pass the handle smooths out your spins, gives you more opportunities to grab, and make for epic photos – just ask Dylan, who’s been milking this stale front 360 for years! The term “long board” can mean different things to different people, but for this purpose we’re talking about adding 10 cm to your usual board length (or more) for a whole new feel on the water. You can slow your pace a bit, spend more time appreciating the hang time rather than rushing through the air, and the landings are super “kush”. Yep, we said it…”kush”. Thanks to the Nomad (which goes up to a whopping 160 cm) and other boards in the Slingshot line, a whole new world of easy-going fun has been opened up on the water. 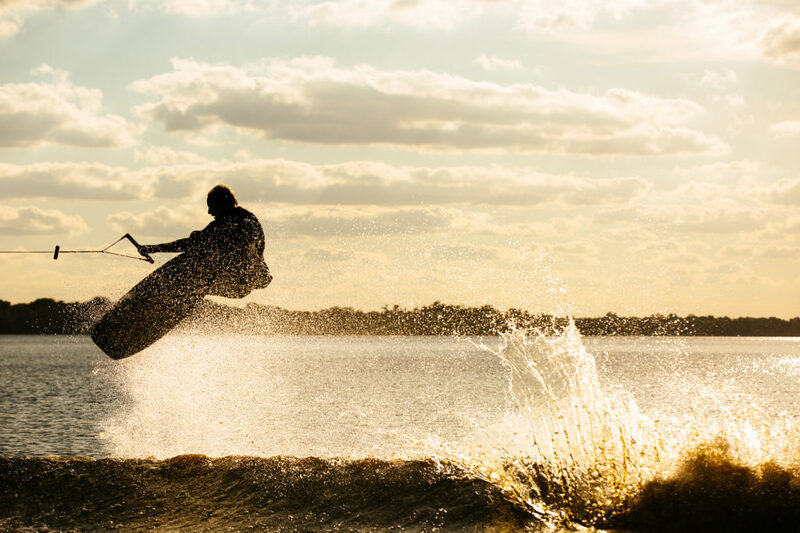 The lip of the wake can be used for much more than just a launch pad to the moon. 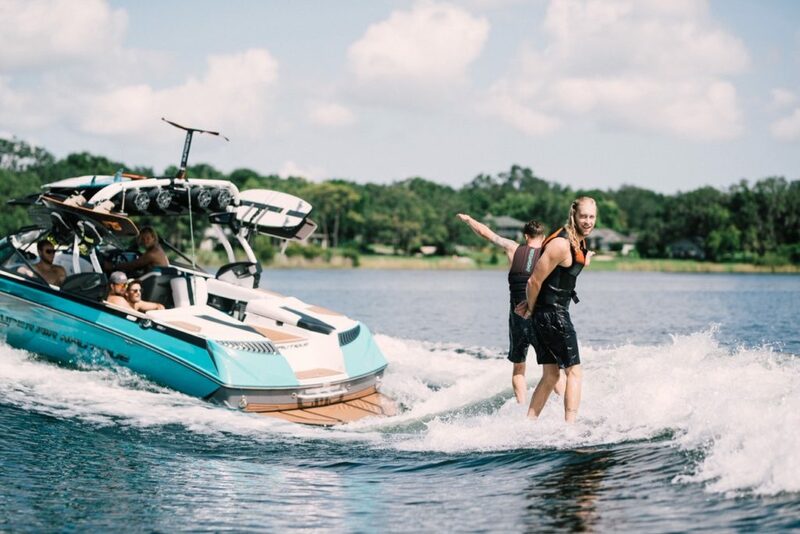 Do some frontside and backslide butterslides on that bad boy and find a new way to incorporate surface tricks on the boat’s wake. You can take it easy and surface slide into a boardslide or lipslide position, or you can come in on an edge, carve the wake and then bust your fins loose for some surf-style action. Riding with a friend can be a ton of fun, and usually puts the stoke to time ratio over the top! 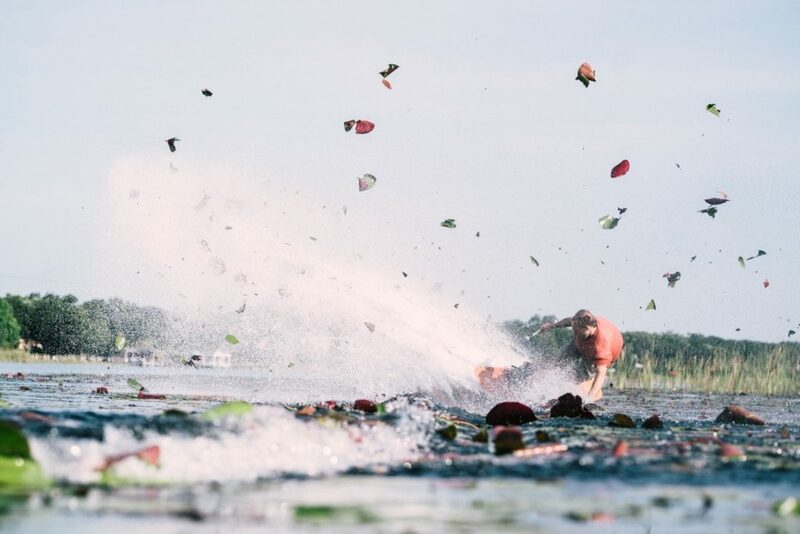 Take turns attacking the wake, playing a game of W-A-K-E, or challenge your friend to a bucket throwing challenge. May the highest wall of water take the cake! As we said with butterslides, the wake can be a ton of fun without needing a ton of air. Re-entry tricks are where you use the wake like a quarter pipe. Edge up it from just a two or three feet away and pop an air straight up. You can do everything from grabs to different spin variations and have a blast. If you’re feeling frisky, go for the re-entry toe-side back roll, and then maybe try some double up or triple up re-entries. Need a break from the straps? Try something different, like a wakesurfer or a foil. (Slingshot happens to have a great starter modular foil system called the Hover Glide). Both can be tons of fun. Get a SUP board and wakesurf with a friend (or perhaps a few friends). 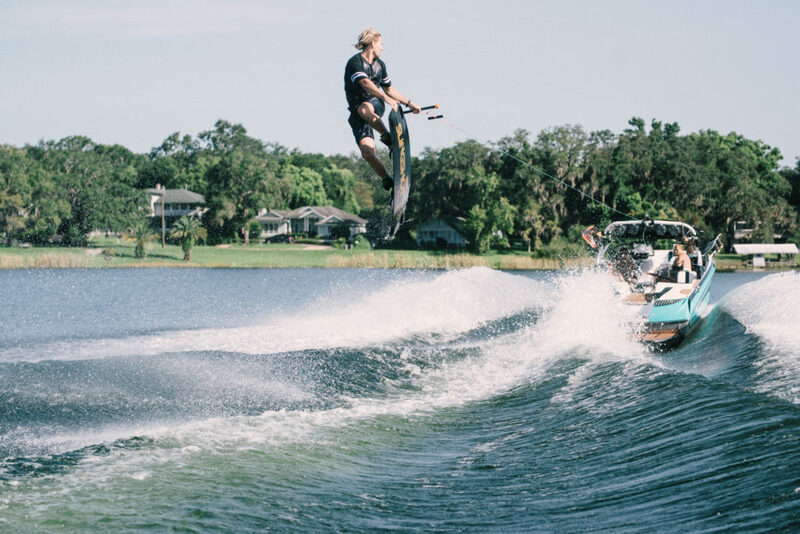 Try foiling with your wakeboard rope, then slowly work on riding without the rope – you can ride the second or even third wave back from the boat (and of course you can surf the first wave on a foil, too).